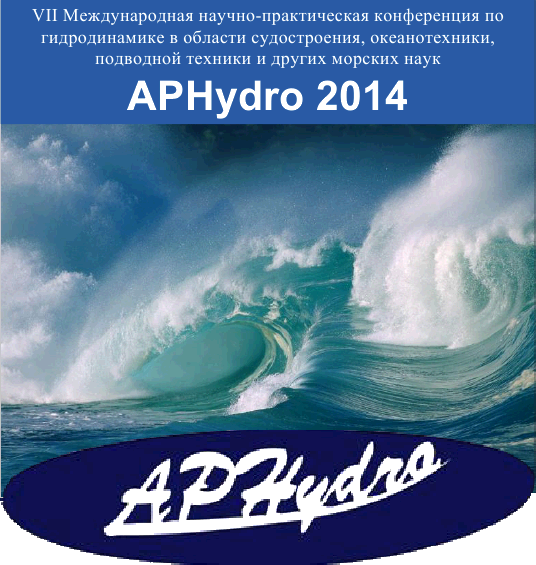 APHydro (Asia-Pacific Workshop on Marine Hydrodynamics) is a serial international workshop mainly within the Asia-Pacific region concerning hydrodynamics in the area of naval architecture, ocean engineering and other marine related aspects. The workshop was initiated to organize in 2000, based on four times successful Korea-Japan/Japan-Korea Joint Workshops. An international organizing committee was then formed in 2001, and the international organizing committee determined that the workshop is to be held every two years from 2002. The aim of the workshop is to promote the technical and cultural exchange among hydrodynamic researchers in the Asia Pacific region with good friendship, particularly encourage research activities and idea exchange of young researchers and students. 18.00 Closing ceremony of the Workshop. Banquet. 14.10 An Experimental Study of the Effect of Mooring Systems on the Dynamics of a Spar-Type Floating Offshore Platform Sinpyo Hong, Inwon Lee, Seong Hyeon Park, Cheolmin Lee, Ho-Hwan Chun (Pusan National University, Republic of Korea). 15.10 Prescreening of Environmental Conditions for Dynamic Analysis of Offshore Platforms. Dong-Hyun Lim, Taeyoung Kim, Yonghwan Kim (Seoul National University, Seoul, Republic of Korea). 10.50 Numerical Simulation of Nonlinear Water Wave Action on Submerged Horizontal Circular Cylinder B. Teng, H.F. Mao, L. Lu (Dalian university of Technology, Dalian, China). 13.50 Comparative analysis of screw propellers series B and Gawn Natalia Dryzhinina, Andrey Zinevich, Maksim Kitaev (Far Eastern Federal University, Vladivostok, Russia). 16.10 Wind Turbine Development with Blade Element Momentum Theory Faisal Mahmuddin (Naval Architecture Department, Engineering Faculty, Hasanuddin University, Makassar, Indonesia). 16.30 A basic study on combined utilization of offshore wind and wave energy Katsunari Fujioka, Yasunori Nihei (Osaka Prefecture University, Japan), Marc LE Boulluec (Ifremer in France). Far Eastern Federal University, School of Engineering, Department of Shipbilding and Ocean Engineering. Organizing Committee.